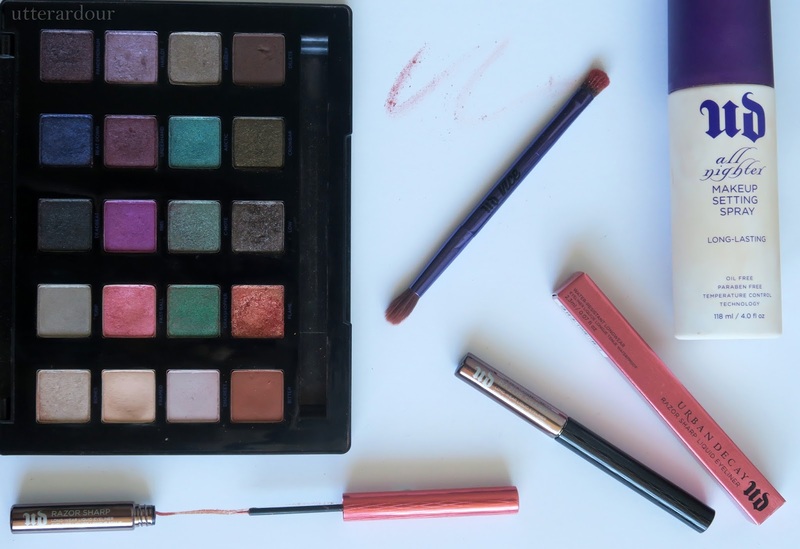 One of my newest brand loves is Urban Decay. I have a feeling though it will be a brand I want to save for and use a lot more in future. All their products so far have been amazing to use and are super high quality. I heard about this brand via YouTube beauty gurus. I would drool over the eye shadows they used and dream of one day owning my own. Unfortunately it took a while for me to actually be earning enough money to save up for and even consider buying something high end. But then I got the setting spray and well, the rest is history. Price and Quality | This is a high end product, it is very expensive at first glance. But when I take a look at how many eye shadows you get for a product, how long the sprays and liners last. It all makes sense. Plus the quality is the best I’ve ever experienced. So personally I think the price is worth it in the long run. Cruelty Free | Yes! Again! Another cruelty free brand. It also makes the price worth it knowing that no animals are being harmed in the making of the product. Range | A huge range. I have so many things I want to try but you do need to save to start trying them all. I think I want to try their foundation and maybe some of their brushes next! 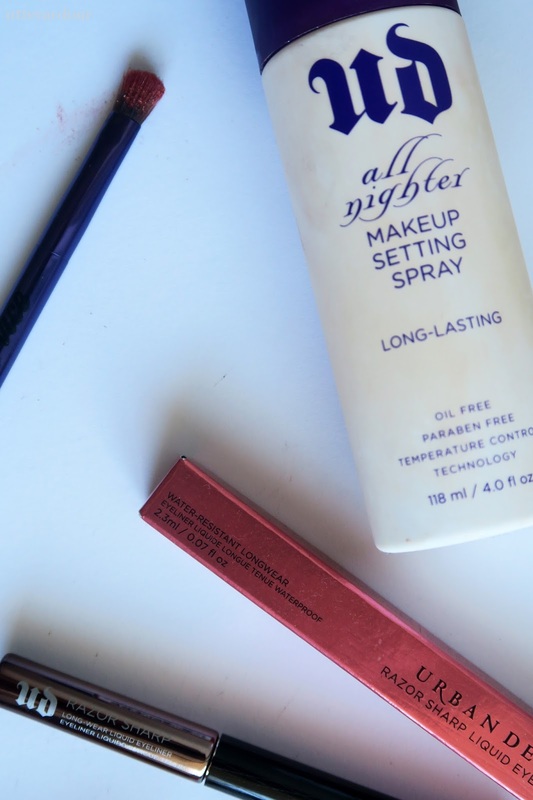 Setting Spray | The first product I got from Urban Decay. You literally couldn’t go anywhere in the blogging world without hearing about this spray. So like any good blogger I had to go out and get my own. I’m super happy that I did as it has became a staple in my makeup routine. I did a review on it HERE if you want to know more. Eye Shadow | This was the palette that made me stop in my tracks and go, screw it, I need this in my life. I paid that $98 without a second thought (okay maybe after a third thought) and bam it was true love. I also have the eye lid primer (not in the pictures because hey I couldn’t find it in my makeup mess haha) which makes it last for hours. The colours are gorgeous and the colours pop, you can see the whole palette HERE and in more detail. Eye Liners | I am starting to get into eye liner again. I haven’t used it in years but since I saw their Razor eyeliner come out I thought it might be a chance to try it out again and hope for the best. I’m loving it. Please tell me what I was doing before winged eyeliner? Also the colours they have are breathtaking I own Perversion(black) and the most lovely copper colour that shines in the light so beautifully I wanna marry it Fireball. I am obsessed with Urban Decay at the moment and will feel like this will be a long lasting relationship. Let me know what you think of UD, do you have a favourite product? A least favourite? Tell me all below!